Available for a limited time in honor of Gamescom 2013. 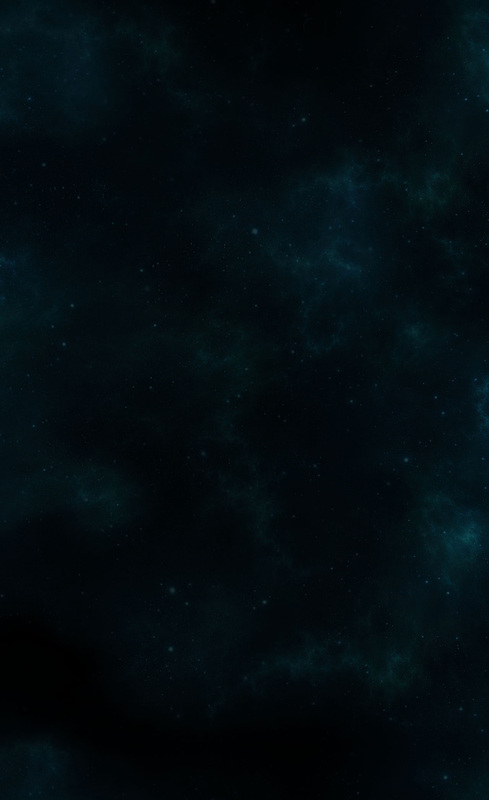 Available for a limited time in honor of Gamescom 2014. 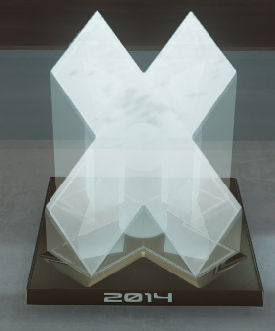 Available for a limited time in honor of PAX Australia 2014. 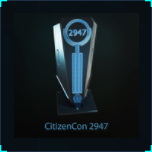 Available for a limited time in honor of Gamescom 2015. 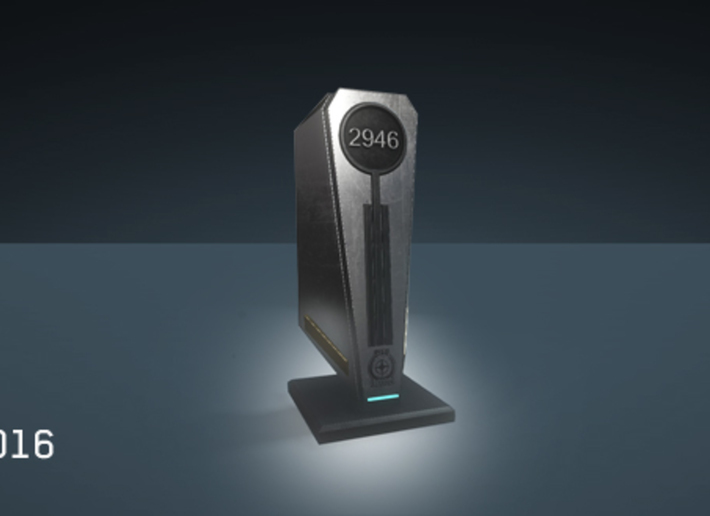 Given to all Subscribers in August 2015 in honor of Gamescom 2015. 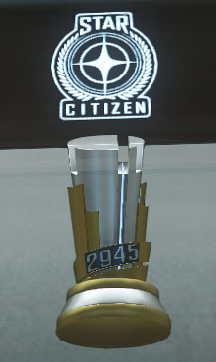 Available for a limited time in honor of Citizencon 2015. 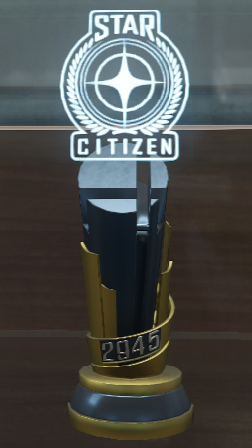 Given to all Subscribers in October 2015 in honor of Citizencon 2015. Available for a limited time in honor of Gamescom 2016. 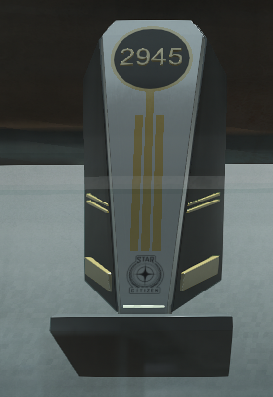 Given to all Subscribers in August 2016 in honor of Gamescom 2016. 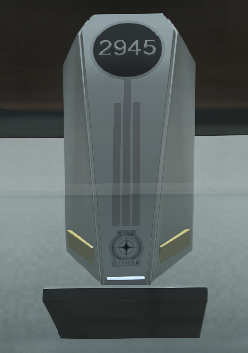 Available for a limited time in honor of Citizencon 2016. 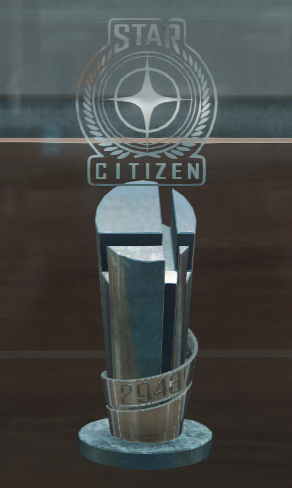 Given to all Subscribers in October 2016 in honor of Citizencon 2016. 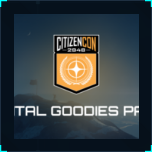 Available for a limited time in honor of Citizencon 2017. 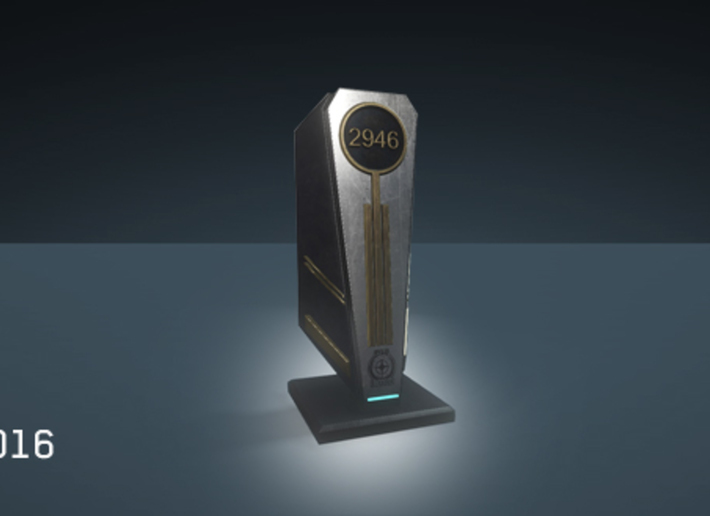 This trophy is given for free to anyone who purchases the game. 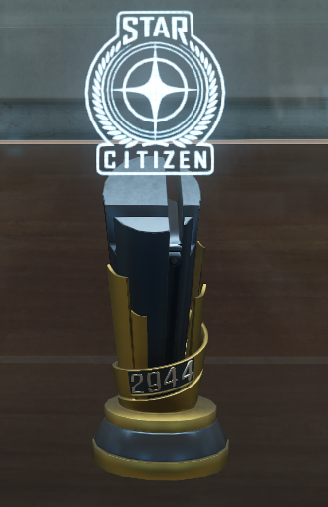 The CitizenCon 2948 Trophy was available as part of the Digital Goodies Pack along with the CitizenCon 2948 Duster Jacket and CitizenCon 2948 Weapon.